2 How to avoid fluid retention? The main 3 factors that regulate the amount of water in the body are vasopressin, ANP (atrial natriuretic peptide) and the number of sodium ions (Na+). ANP and vasopressin perform different functions: ANP reduces Na+ and water, but vasopressin induces their retention. When you take HGH, the balance of these substances breaks and vasopressin starts to retain fluid. Divide your daily amount of growth hormone into 2-3 injections. The hardest side effects are noticed when scientists inject HGH three times a week. Under this protocol, HGH gets to the body in extremely high dosages and disrupts the balance of ANP and vasopressin. To avoid adverse effects of HGH, try to follow natural biorhythm of growth hormone secretion and inject HGH 2-3 times a day. Consume natural diuretics. If water retention makes you uncomfortable, you can take drinks with caffeine, such as coffee and tea. They are natural diuretics and can help. However, it is better not to use strong diuretics is undesirable. The second common side effect growth hormone has is carpal tunnel syndrome, finger numbness, pain in fingers and in wrists. This effect will go away after about one month of your cycle. 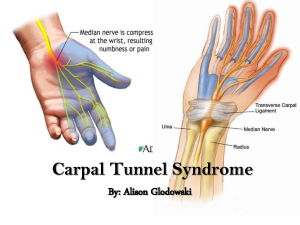 The syndrome is caused by the compression of the median nerve in a wrist. The median nerve is divided into four nerves that go to four fingers. When it is compressed, the fingers become insensitive and you feel tingling in them. This side effect of HGH is caused by water retention in wrists and the increase in bone mass. This effect becomes disappears after the carpal ligament becomes wider. To fight carpal tunnel syndrome, you can use multivitamins and B6 vitamin. First of all, this HGH side effect is dangerous if you are genetically inclined to diabetes. 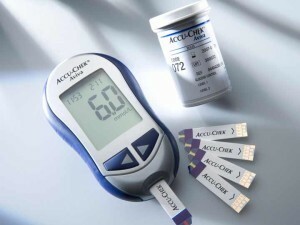 Look at your relatives and check whether they have problems with the level of glucose. If they do, you are not recommended to take growth hormone. Secondly, pass the blood sugar test. A normal range of blood taken from a finger in 3,3-5,5 mmol/l. If you have the higher level, don’t use growth hormone. Do not take HGH for longer than 3-4 months. This period is relatively safe if we talk about long-term side effects of human growth hormone. You can run longer periods, but only if you take exogenous insulin. Cancer initiation. Growth hormone can’t induce cancer by itself. It was proved by PJ Jenkins , who claims that “recent surveillance of children and adults treated with GH has revealed no increase in observed cancer risk”. HGH can’t induce cancer because it doesn’t influence defected cells, that are considered to be the reasons of cancer. Cancer development. HGH can accelerate growth and development of tumors that already exist through the mechanism of promoting division of cells, including cancer cells. Cancer recurrence Resent research has shown that growth hormone treatment of children with removed brain tumors doesn’t show higher chances of cancer recurrence that in normal circumstances. The myth that injectable HGH causes suppression of endogenous hormone is connected with the suppression effect of steroids on testosterone. However, scientists haven’t found long-term effects on production of own GH. Y. Hashimoto  proved that the secretion of growth hormone starts 24-30 hours after the last injection, and the pituitary works just as well as before HGH usage. 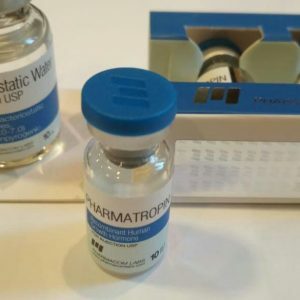 Short-term suppression exists, it was even researched by S. M. Rosental, and it is connected with somatostatin, which reacts with the level of IGF-1. Somatostatin blocks HGH secretion when IGF level is high. The level returns to a normal range 20-30 hours after the injection of HGH, and then the body starts to produce its own growth hormone. I have already written a big and detailed article about such growth hormone side effects as HGH gut and Palumboism. In short, bloated bellies in bodybuilders are a complex phenomenon, which isn’t caused only by HGH. Growth hormone is a part of a professional anabolic cocktail, which consists of steroids and insulin. In conjunction, these drugs not only give the extreme muscle mass and excessive food consumption but lead to the growth of the stomach. Growth hormone is a part of a professional anabolic cocktail, which consists of steroids and insulin. In conjunction, these drugs not only give the extreme muscle mass and excessive food consumption but lead to the growth of the stomach. Also, professional bodybduilders use HGH for very long periods of 6 months and take huge dosages of 15-30 IU, so amateurs who want to try growth hormone don’t have to worry about this side effect. Perform only sterile shots. Before injection, wash your hands and swab the site with alcohol to kill bacteria. Long spikes. Sometimes redness is caused by a very short needle, so maybe you need a longer one. If you already have itches, you need to compress them with a gel pack. This problem is rare. Some people describe that they wake up tired when they are on HGH and feel headache. It is probably caused by a low-quality growth hormone, which contains too much bacterial residue. If you are going to use growth hormone, choose only high-quality brands with good reputation. (Read the article about HGH BRANDS). If you have a lot of money, you can take growth hormone produced by the pharmacy indusrty: Humatrop, Saizen, Genotropin. 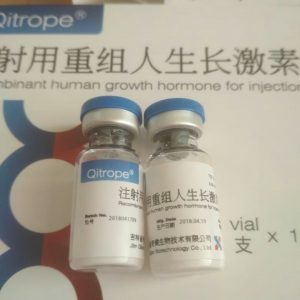 If you don’t, buy Chinese high-quality HGH brands: Jintropin, Ansomone and Hygetropin. 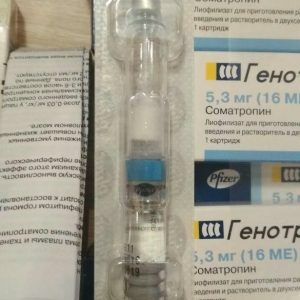 Hygetropin – 190 $ for 100 IUs. P. J. Jenkins; A. Mukherjee; S. M. Shalet. – Does growth hormone cause cancer? Sklar C A, Mertens AC, Mitby P – Risk of disease recurrence and second neoplasms in survivors of childhood cancer treated with growth hormone: a report from the Childhood Cancer Survivor Study.